“A Life May Depend On A Gesture From You, A Bottle Of Blood You Donate Gives Someone Another Chance Of Life.” Blood Donation Is An Integral Part Of The Health And Well Being Of The Community. Each Blood Donation Is A Service To Human Kind. Donation Can Help Us To Save Upto Three Lives . Apga Organized Blood Donation Camp In Collaboration With Nss Team At Aissms College Of Pharmacy . Pre-Blood Donation Session Was Conducted By Thereby Motivating Students. Various Pamphlets And Posters Was Put Across The Premises. The Apga Members Strived Hard To Explain The Importance Of Blood Donation To People, Campaigned In All Other Colleges. The Organization At Each And Every Step Took All The Possible Efforts To Increase The No. Of Volunteers For Blood Donation. Teaching Staff From Our College And Other Colleges Supported The Campaign. The Volunteers Were Appreciated With A Token Of Love . 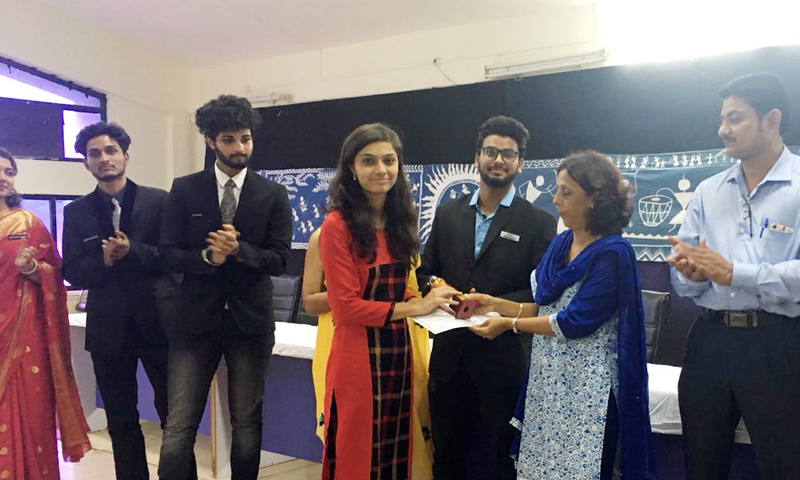 All Over The Efforts From The Apga Members We Got An Overwhelming Response From Our Campus. The Event Took Placed In An Exuberant And Contented Manner. The Team APGA celebrated NO HORN DAY with RTO Office, Kennedy Road, Pune and with Traffic Police Officers. On 5th September Teachers Day Was Celebrated In AISSMS College Of Pharmacy By APGA . The Whole Session Of The Day Was Taken By Final Year B.Pharm And M Pharm Students. The Opening Of The Function Was Done With The Lightening Of The Lamp By Principal Dr. Ashwini R. Madgulkar And Dr. Mrunalini C. Damle Followed By The Address From The Principal. Various Cultural Programs And Some Competitions Were Organized And Later On Prizes Were Given By APGA. Students Expressed Their Gratitude And Respect For Teachers. The Best Teacher Ward was given and was sponsor by APGA. The celebration was done in an exuberant manner. MEGA RALLY FOR ORGAN DONATION CAMPAIGNING –A Mega Rally Was Organized On 30th August 2016, From AISSMS College Of Pharmacy, Pune Campus To B.J.Medical College Ground, Camp Pune. The Objective Was To Tune For Cause Of Increasing Awareness Regarding Importance Of Organ Donation. An Initiative Of Govt. Of Maharashtra And Govt. Of India To Support The Needy Ones. The Students Were Sensitized To Participate In The Mega Rally By War Of Power Point Presentation Prepared By The B.J.Medical College Staff. The Students Of National Service Scheme And AISSMS PHARMA GRADUATES ASSOCIATION (APGA) Have Participated In The Rally. 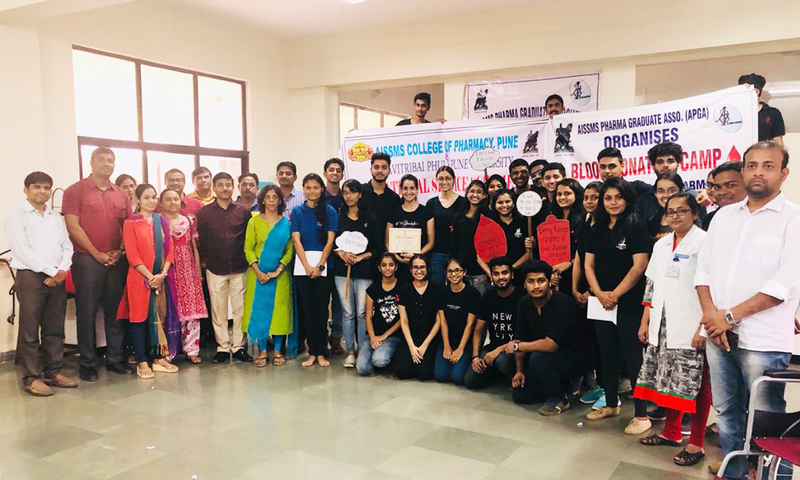 After The Rally Online Blood And Organ Donation Pledge Was Taken By The Students And Staff Of AISSMS College Of Pharmacy. The Dignitaries On The Dais Addressing The Students From All Over Pune Gathered At The Last Point Of Rally At B.J.Medical College Ground Pune. VISIT TO SAVALI ASSO. 2016-2017 – Visit to Savali-Home for Mentally Retired and Cerebral Palsy (MRCP) patients on 21st February 2017. The APGA through college donated food supplements like biscuits and chocolates and one wheelchair. On Tuesday 21st February We Were Very Proud Of Ourselves That We Got The Opportunity Of Meeting 10-12 Years Old Children Who Are Suffering From Cerebral Palcy. 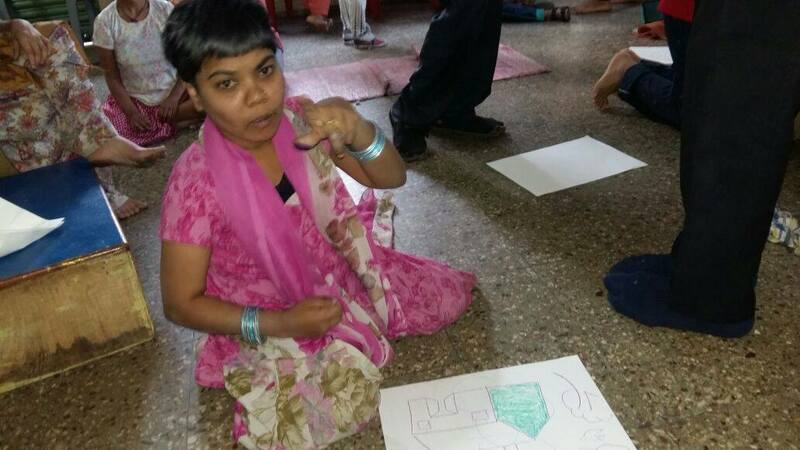 We Must Say That The Care Centre Is Performing An Ideal Role And Helping Such Children Who Are Outsiders Too. We Just Went For A Visit And In Return They Gave Us Lots Of Love And Support. Lots Of Programmes Were Performed As Such Dance, Drama, Chitchat, Drawing And Reply Was So Excitable. We Must Say We Should Learn A Great Enthusiastic Ability Of Theirs. Also We Did Photo Session And Provided Some Food Supplement Like Biscuits And Chocolates, Wheelchair, Clothes. But We Provided All External Need And Only Gave Them Support But They Taught Us How To Fight Against Difficulties Without Wondering About What The World Is Saying About Them. We Must Say Thanks To APGA For Such A Great And Memorable Visit In Our Student’s Life Journey. The AISSMS College OF Pharmacy Celebrates Sports Week Every Year. The APGA Avails A First Aid Kit During The Sports Week To All The Sports Person. Also APGA Members Help Students Recover From The Injuries And Help Recuperate Them Fast. 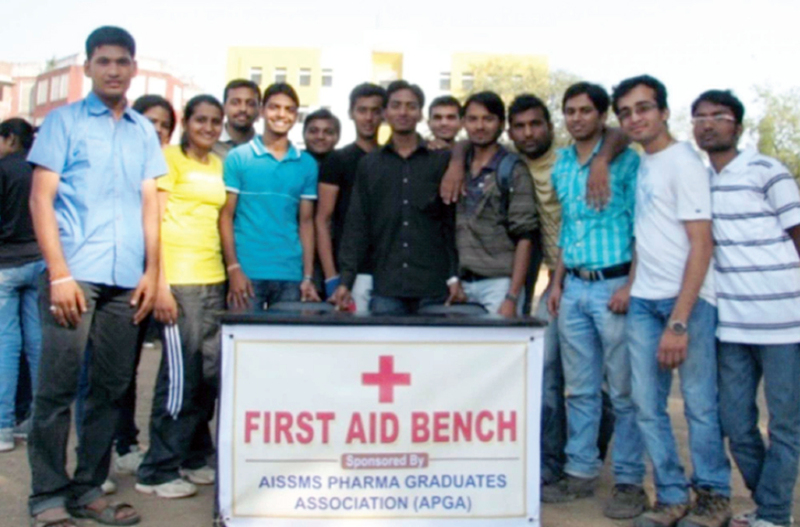 APGA Also Sponsor The First Aid Kit For Our College For Various Other Sports Tournaments Like Pharma Cup.